From today August 13th, 2012 through August 17th, 2012 ,You will have a chance to win Your very own Pirate101 Beta Key!!!! How you ask? This contest is now over congratulations to all beta key winners!! I have 25 Beta keys to give away!!!! Watch @PaigeMoonShade Twitter feed from August 13th, 2012 through August 17th, 2012 for all trivia questions. Be the first to reply with the correct answer. 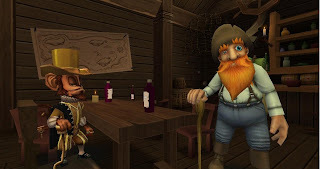 All Answers to trivia can be found at Pirate101.com or on Pirate101 facebook page. Do you know your pirate101 trivia??? Please you may only win one Beta key to be fair to everyone. Extra Housing Elixir & New Furniture!! House-a-Palooza!!! ROYAL PLAYHOUSE & More! !